Were we not to live in the world we do, most might wonder: why make a documentary about parenting? Isn’t it the most natural of things in the world? Whilst that is true, it’s not how the world we live in always thinks about transgender people founding families. But, Rémy Huberdeau doesn’t dwell on the oppressive point of view in his film. He rather captures individuals‘ stories – hopeful, confident but often unheard. The emerging collage proves: gender and sexuality by no means determine the qualities of a good parent. 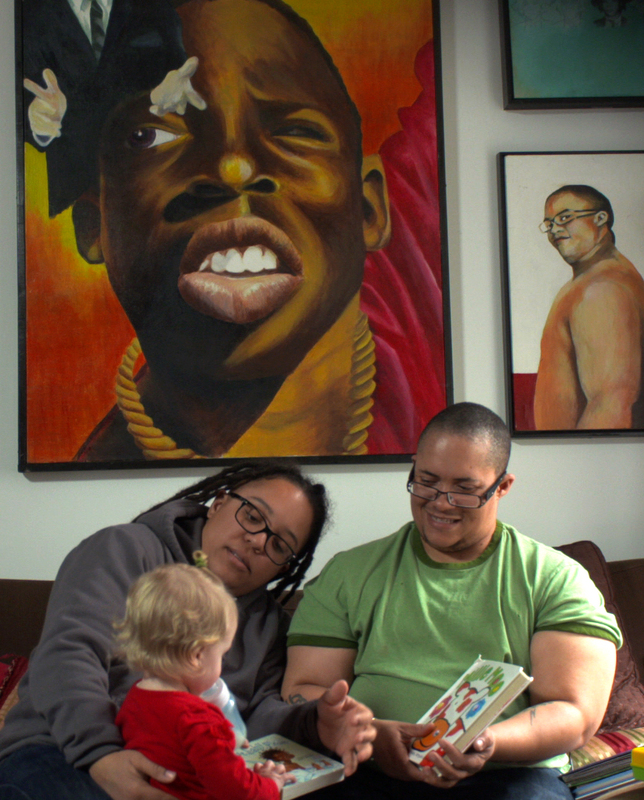 The documentary introduces several trans men and trans women in different stages of parenting. Some had transitioned before having children. They talk about their challenges whilst going through conception, pregnancy and toddler age. Others already have had children before transitioning. We learn how their families reacted to their gender change and how it has affected their status as a parent. And we also get to hear those relatives, adding another important layer to this quiet and intimate view inside. Huberdeau’s portraits are unobtrusive and sensitive. We see the protagonists with their loved ones and in daily scenes. Their voices form the narrative throughout. Such, we feel the strengths, experiences and understanding that a trans person brings to parenthood; a knowledge that can help to raise self-loving, confident and sensitive individuals. And we also hear how these parents resist social pressures towards heteronormativity. It’s always responsibility and love for self that precedes true care for others. That’s what these stories show. There’s only one opportunity the documentary misses: to dismiss the concept of parents as a couple of two. And as a romantically involved couple. Although never explicitly mentioned, the presented idea of „parents“ seems to somehow conform to the heteronormative family model. It’s about two people having a child, whereby one bears the child and the other is the romantic partner. It would have been refreshing to see families that consist of more than two parents. Or families where the partners are not in a romantic relationship. Regardless of this, TRANSGENDER PARENTS contributes important views and voices to this topic. Without any didactic touch, clichés or generalisations, Huberdeau captures pure individuality under one headline. It helps to broaden our understanding of what it means to be a parent. And what it means to be a supportive and loving partner, child or friend. The film had its Germany-premiere this Sunday, July 5, at LesMigraS in Berlin.